With the clocks due to go back this Sunday, it’s natural to want to hibernate to ease the pain of the approaching winter weather. However, fall is the perfect season to take in nature, get active, and start your resolutions early! Plus, you won’t feel so guilty come Thanksgiving dinner if you’ve had an energetic November. Here are some great tips to help you get active on phentermine this fall! Use the added energy that phentermine gives you to get outside this fall. This time of year is a treat for the senses with the crisp air and the crunch of leaves underfoot. Walking, hiking and cycling are all great in fall, so take the opportunity to discover park trails and take in some new scenery. In places where snow falls early, try cross-country skiing or snowshoeing. Or, if you live near the beach, go for a coastal walk or play a vigorous game of fetch with your dog. Being beside the ocean can be really invigorating in the colder months and it’s much less crowded. If you live near a lake, try kayaking or canoeing for an excellent whole-body workout. And remember, it doesn’t have to seem like exercise to be a great workout; raking leaves or doing some outdoor yard work is a great way to get active! Everyone joins the gym in January, so autumn is a great time to get there before everyone else. Many gyms also have offers at this time of year as these months are usually slow for business. That’s because everyone is thinking about the holidays and puts off getting fit until January. Come New Year when the others show up you’ll feel like an expert already! If you need further convincing that fall is the best time to start a new regime, then check out these reasons why you should start your New Year’s resolutions now! Getting active in fall is also a great way to reap the added benefits of exercise. As well as helping with weight loss, working out gives you a boost of endorphins to help lift your mood. Which is perfect for this time of year when the cold weather and shorter days can leave you feeling a little glum. Plus, getting active also boosts your immune system to help your body fight off infections more easily. Lastly, exercise helps to increase blood flow to the liver, strengthening this organ in time for the influx of food and alcohol come the holidays. Sunlight is limited during the winter so you could be lacking in vitamin D if you’re inside all the time. Try and go for a walk at lunchtime and get out during daylight hours at the weekend to catch some winter rays. Vitamin D is crucial for good bone health, boosting immunity, and helping your body to function more efficiently. We all know it’s tempting to stay in bed longer and put off exercising until tomorrow, or decide to hide under the covers all weekend if the weather’s terrible. But, continuing a routine of getting up with your alarm and making sure you stay active during fall will mean you’ll be more prepared when the full-on winter weather rolls in. If you feel tired in the mornings, go to bed earlier – the earlier sunsets should make this easier as your internal clock will start to wind down with the darkness. The best way to enjoy fall is to exercise outdoors, but it’s getting darker earlier, and staying dark later in the morning, so be smart and safe. If you’re walking or running outdoors, wear a reflective vest and carry a flashlight. When cycling, fix a light to your helmet or bike, and if possible, use trails or a local school track to avoid vehicle traffic. When it comes to clothing, you should dress in layers to keep warm. These days, there’s no lack of great weather gear; the best out there is clothing with wicking, often called ‘DriFit’. This fabric takes moisture away from your skin so you’re not exercising with wet fabric hanging on you and getting cold. Your inner layer should be a moisture-wicking fabric, the second layer should be a warm layer, and the third layer should be a protective layer, like a windbreaker. Many people get geared up for fall premieres of their favorite TV shows. But you need to offset these sedentary hours in front of the TV by getting active at some point too! If you can record your favorite show, do that and go for a walk after dinner, then you don’t have to sit through the commercials and you’ll feel more energized after some time in the fresh air. If you want to watch live or the weather’s bad, you probably have close to 20 minutes’ worth of commercial interruption during a one-hour show, so use this time to do push-ups, sit-ups, lunges, tricep dips or lift weights. In addition, you’ll keep yourself occupied and avoid mindless snacking in front of the TV. For other great ways to fit in small amounts of exercise throughout the day, check out these tips! Here you have lots of good ways to help you get active this fall on phentermine. But if you feel you need some extra energy then the weight loss supplement Phen Caps are perfect for you. 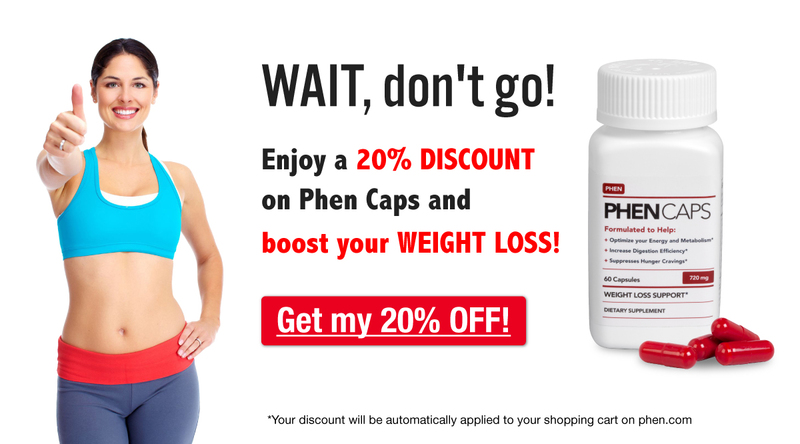 Phen Caps will boost your energy levels and suppress your appetite, ensuring that this season will get your weight loss journey on the track to success!